Brewing is the process of making beer — a fermented, alcoholic beverage made from grains. The most commonly used grain for brewing is barley, but there are others (including wheat, rye, oats and sorghum). Brewing is similar in some ways to making wine, which is a fermented alcoholic beverage made from fruits (most often grapes) or mead, which is fermented honey. Malt is a grain that has been prepared for brewing (by a process called, not surprisingly, malting). 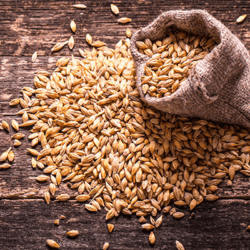 Malted barley is the most common base grain used in beer, but malted wheat is also prevalent. In some beers, unmalted ingredients — including corn and rice — are used. Malt provides the sugar that the yeast consume during the brewing process and therefore determines the strength of the beer. Most homebrewers, or professional brewers for that matter, do not malt their own grains. They simply purchase malt produced by maltsters or they use malt extract, a more highly processed form of malt. 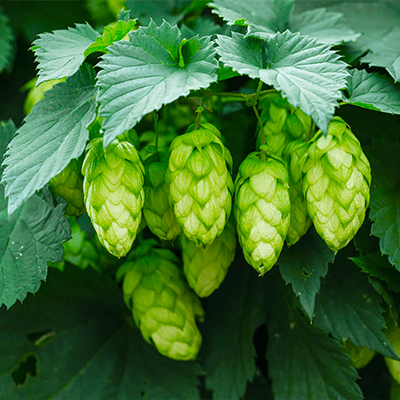 Hops are the spice of beer, providing the bitterness to balance the sweetness in beer and can also add flavor and aroma if the brewer so desires. Compared to malt, hops are added in small quantities to beer, even in the most bitter IPAs. Most homebrewers use pelletized hops in their brewing as this is a convenient form to store and use. Yeast converts the unfermented beer (called wort) that brewers make on brewing day into beer. They consume sugars from the malt and convert them to alcohol and carbon dioxide. Alcohol is, of course, what gives beer its "kick" and carbon dioxide is what gives beer its fizz. Water Most beers are over 90% water by volume. Quite a bit of water is also used in the brewing process that does not end up in beer. A basic (although not infallible) rule of thumb in homebrewing is, if your water tastes good, it's suitable for brewing. If your tap water doesn't taste good, try using bottled spring water instead. 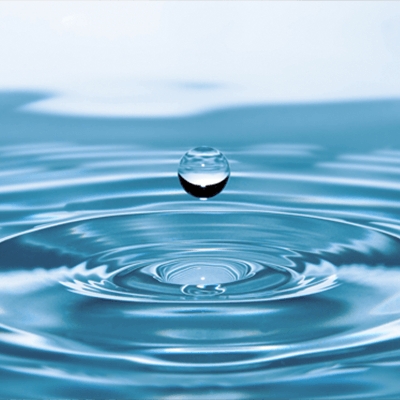 Avoid water that has been through a water softener. Malting: Malting begins the process of converting raw materials into beer. The first step is germinating the grains, allowing naturally-occurring enzymes in the grains to activate so they can be used for the next step in brewing. The grains are then dried by heating (called kilning). Kilning allows the grains to be stored for long periods of time, and develops malt flavors and aromas that will get extracted in the brewing process. Almost all brewers leave this step to maltsters, but it is an important step in creating beer. Mashing: In mashing, malted grains are soaked in hot water. In the process, the starch molecules in the grains are dissolved in the hot liquid and the enzymes (activated by the maltster) chop the large starch molecules into smaller molecules of sugar. The main sugar produced in the process of mashing is maltose. Malt sugars from the mash are what fuel the yeast cells during fermentation. For homebrewers who brew with extract, this process has been done for them. Malt extract is made from malted grains that have been mashed. The resulting liquid is then condensed into syrup or dried into a powder. Boiling (and Cooling): The solution of water, malt sugars and other substances from the malt is called wort (or unfermented beer). Before wort can be fermented, it should be boiled. Boiling sanitizes the wort and helps to make the finished beer a more stable product. 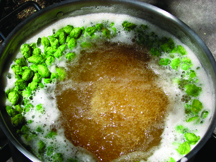 During the boil, the hops are added to the wort and bitter compounds are extracted from them. After the boiling, the wort is cooled so that yeast can be added. Fermenting (and Conditioning): Once the wort is cooled, the yeast is added. After a short time in which the yeast acclimate to the wort, fermentation begins. For homebrewers making average-strength ales, fermentation will last from a few days to a week. For brewers making stronger beers or lagers, fermentation can last longer, up to months. After the beer has fully fermented (and sometimes conditioned for awhile), it is ready to be bottled (or kegged) and served. Are you an extract brewer looking for pointers? Here is some additional reading to get the best from your extract. Looking to try a partial mash homebrew? Here is a recommended read on this good intermediate brewing technique between extract and all-grain. First time all-grain brewing? Click here for more information. Brewpot/Brew Kettle: Usually aluminum or stainless steel, but porcelain enamel will work as well. Anything less than four gallons (15 L) will be frustrating due to boilovers or scorching. You will want a top for it if possible. A built in thermometer is a great feature if you plan on cooling the wort inside the brewpot. 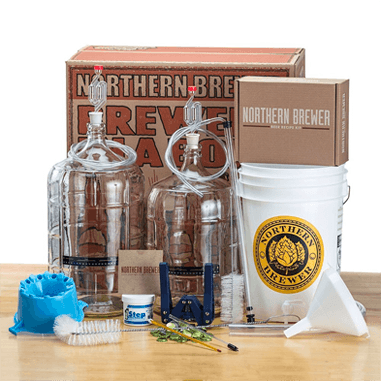 Fermenter(s) and Bottling Bucket: Homebrewers commonly use a five - six gallon (19-23 L) carboy (glass or plastic) and/or food-grade plastic buckets which are generally 6.5 gal (25 L).You will use these as a fermenter and bottling vessel. If you choose a carboy, you'll need a #7 drilled rubber stopper; if you go for two buckets, you'll need a lid for one of them with a hole drilled for the airlock. An airlock: This allows carbon dioxide produced during fermentation to escape from your fermenter while preventing oxygen and airborne contaminants from entering. A racking cane: A racking cane is a long piece of hardened plastic with a curve at the end. You will also need 6 feet of food-grade vinyl siphon hose that fits over the end of the cane to transfer beer and wort from one vessel to another (this process is called racking). Two cases of clean, non-twist-top beer bottles: You can buy fresh clean bottles from a store or save bottles of commercial beer for re-use. A bottling wand, bottle capper and a package of crown caps: If you plan to bottle your homebrew, you need a bottling wand, capper and caps. Malted grains, dried malt extract or liquid malt extract or crushed grains(depending on your brewing method and recipe). Hops, choose pellets or "leaf" (whole flower) hops. 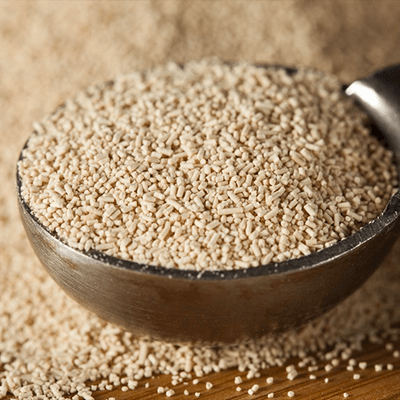 Brewing Yeast, dry yeast is a good choice for beginner brewers. You can use liquid yeast if you prefer, just be sure that the yeast is fresh, refrigerated and you follow manufacturers guidelines. 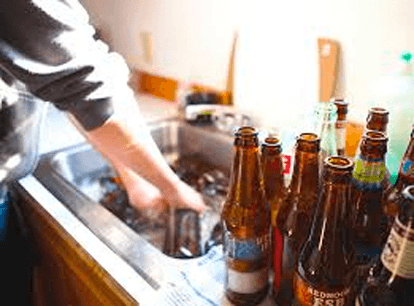 Sanitizing & Cleaning Chemicals: Homebrew-friendly cleaning and sanitizing chemicals, which you can find at your local homebrew supply retailer or online. See the next section on cleaning and sanitizing for more info. Around your kitchen you might find a few other items that will make your mission more fun or easier: a measuring cup, a large spoon for stirring, a large funnel (if fermenting in a carboy), and a large strainer (if using leaf hops). Your brewing equipment needs to be as clean and as free from biological growth as possible. The only organism you want growing in your fermenter is yeast (unless you want a sour beer). Contaminated beer may turn out sour or develop other off flavors. It can smell like baby diapers. In addition, the beer may gush when opened or your bottles may explode. To clean your equipment, it's best to use a special solution that's made for brewing equipment such as TSP (tri-sodium phosphate) or PBW (Powder Brewery Wash) or One Step. Make up a solution with warm water, grab a scrub brush and clean all the surfaces you can reach. Run your cleaning solution through your racking cane and fermentation lock. After cleaning, rinse the equipment with hot water. When you're done, visually inspect your equipment, especially those surfaces that will contact the wort. If you see any dirt or residue, repeat your cleaning procedures. Don't rely on your sanitizer to take care of any surfaces that are not spotless — it doesn't work that way. You'll need your equipment to be as clean as possible for the sanitizer to be effective. To sanitize, soak any equipment that will touch the post-boil wort in sanitizing solution. There are a few homebrew-friendly sanitizers to choose from, including Iodophor and Star San. Creating a solution in a spray bottle to spray your equipment is a great and cost-effective way to sanitize your cleaned equipment. But be sure to run sanitizing solution through your racking cane and fermentation lock. The final step is prevention. You may be the biggest threat to your beer! Wash your hands often while brewing. When you're done, clean your brewing equipment thoroughly and wipe down all surfaces that may have gotten spattered, like your kitchen counters and stovetop. For more in-depth reading on cleaning and sanitizing, frequent author and contributor Steve Parkes has some great pointers found here. Contamination. If a microorganism other than your brewer's yeast got in your batch you will likely know it. Vinegar flavor, mud puddle, locker room/dirty socks, or compost pile odors are classic signs of contamination. (These contaminators won't kill you, but they might make you sad or discouraged if you have to dump out all that hard work.) Analyze your routine. If you can figure out the source of contamination, fix it and try again. Sanitization does get easier as you brew more. Not what you expected. There are many nuances you can add as you gain brewing experience, among them: specialty grains, boiling of a larger wort volume (and add less water to the fermenter), more complex hopping, efficient wort cooling, liquid yeast cultures, dry hopping, and all-grain brewing, wherein you start from grain instead of extract. These additional procedures offer more options, more ways to tweak your product. Good brewing notes and more attention to details will allow you to customize your flavors, too. For more specific troubleshooting guidelines, refer to our troubleshooting chart found here. Trying to find a local homebrew supply retailer? Click here to find homebrew retailers near you. Ready to Find A Homebrew Recipe? We've got hundreds of recipes from traditional classics to contemporary styles in our archives, covering commercial beer clones to award-winning homebrew recipes. Begin your journey with proven recipes from Brew Your Own magazine. Find what you need here.
. . . luckily for us, alcohol is lethally toxic to the vast majority of microorganisms found in our world. There are plenty of technical terms that surround the cereal grains that we brewers use as a source of sugar to make beer. Understanding the brewing jargon used when talking about malt can be very helpful. With the holiday season here, it’s probably crossed your mind that homebrew makes a great gift for family, friends, co-workers and anyone else who wound up on the “nice” list this year. Here we present some yeast lingo explained for the layman/normal human being. Homebrewers need to chill there wort after the boil, but there is no correct way. Learn the pros and cons of various methods of wort chilling along with the different techniques to chill the wort down to yeast-pitching temperatures. Learn the basics of post-boil hopping additions, a technique many brewers will call either a hop stand or whirlpool hopping. Learn about the sugars and other carbohydrates that make up the composition of your beer's wort. How to mash grains, recirculate the wort and sparge. How to clean, sanitize, prepare a no-boil wort, aerate, proof and pitch a dry yeast, ferment a batch and bottle your beer. Plus: basic equipment.